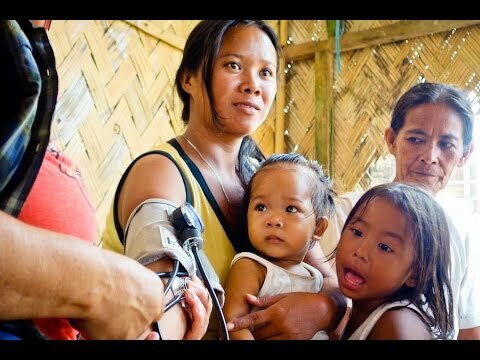 Roots of Health empowers women and girls in the Philippines to secure their right to health and freedom from violence. Young girls from the Badjao (sea gypsys) community in Palawan are being sold into marriage by their parents to older men. We want to work with this community so we can help parents see the dangers of child marriage, help empower girls and keep them in school, and counsel girls already sold into marriage on birth spacing so they can control their fertility. In Palawan's Badjao community, girls as young as 13 are forced by their parents into marrying older men. Young virgins command between $400-$600 while non-virgins are sold for between $60-$100. These girls don't finish school and become pregnant at an early age. Teenage pregnancies carry high risks for complications, endangering the lives of both the teen girls and the babies they carry. Babies are often sickly, leaving the family to pay continuing medical bills, which mires the family poverty. We will use a three-pronged approach: (1) Educate parents to help them understand the dangers of child marriage and the benefits of allowing their children to finish school. This will include a financial literacy component (2) Empower young people with life-skills education so they have options and can make informed decisions about their futures, and (3) Provide reproductive health education and services to young women and their partners so they can get pregnant only if and when they choose to. Long-term benefits include that girls won't be sold into child marriage. Instead they will stay in school, avoid unplanned pregnancies, become productive members of society and have a chance at achieving their dreams. The economic status of the community will improve and families will become more prosperous. This will further reduce the chance of girls being sold. There are 300 households in the community and we will impact all of them directly or indirectly.